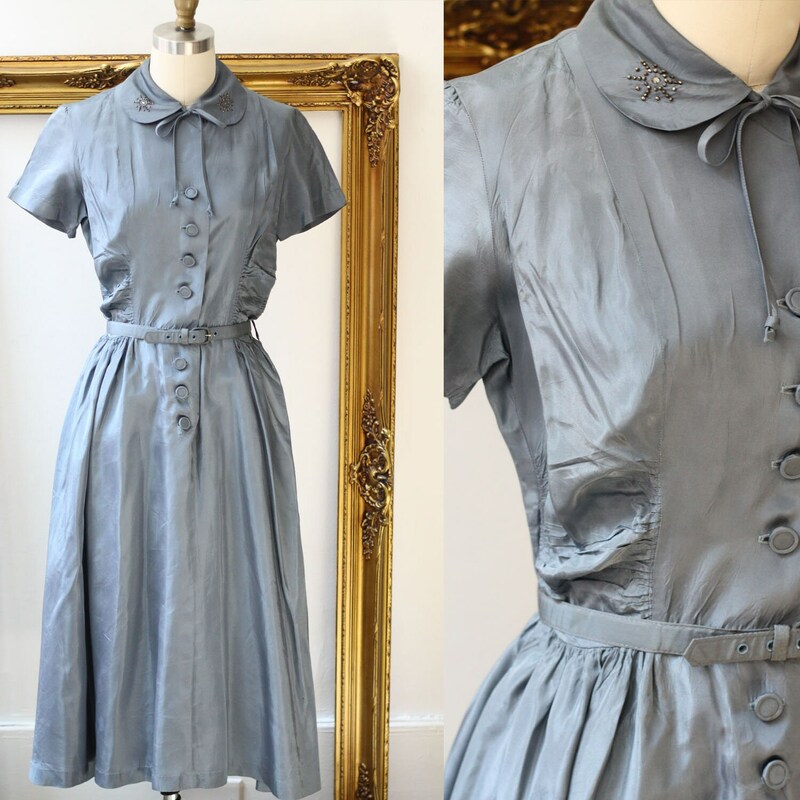 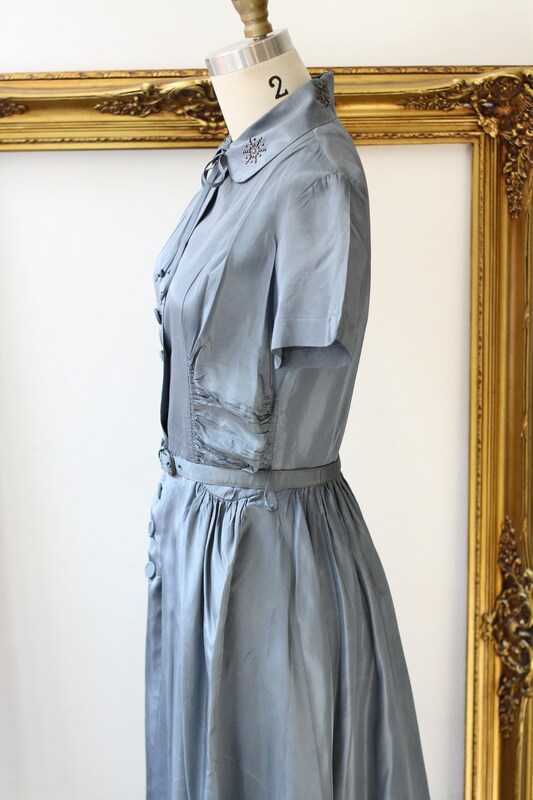 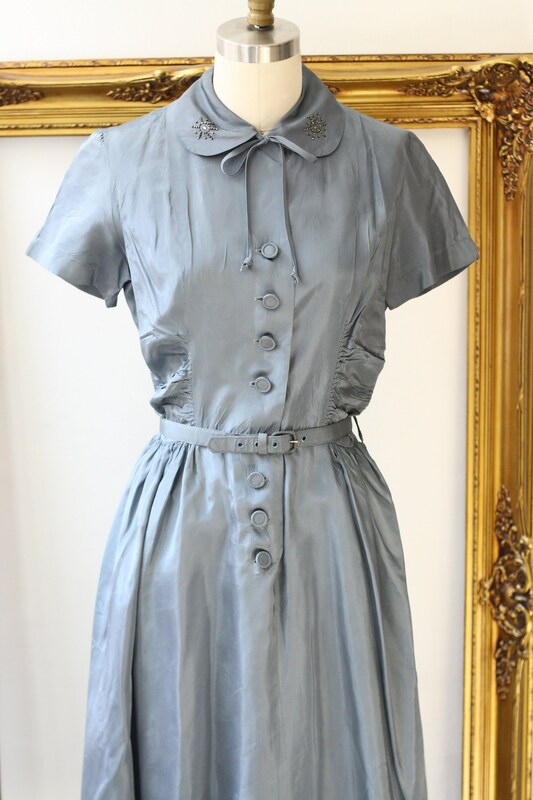 1950s metallic stone blue dress. 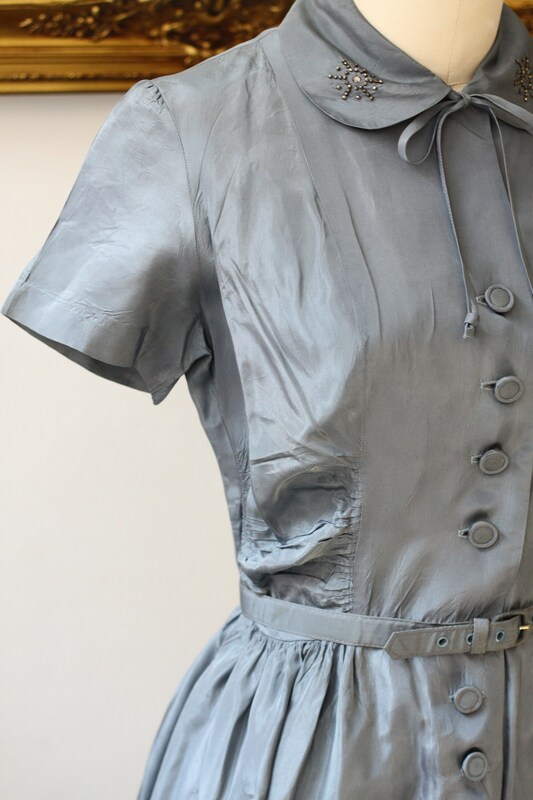 Short sleeves and the sweetest collar detail. 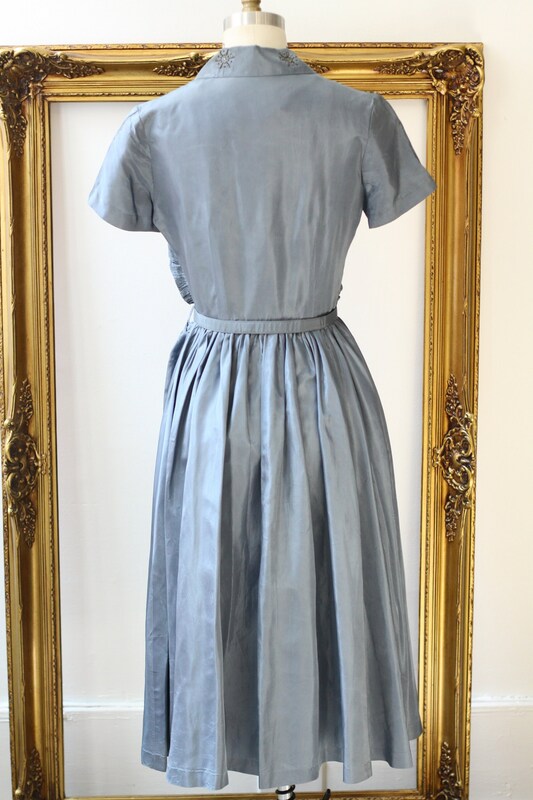 Button closures running up the front of the dress. 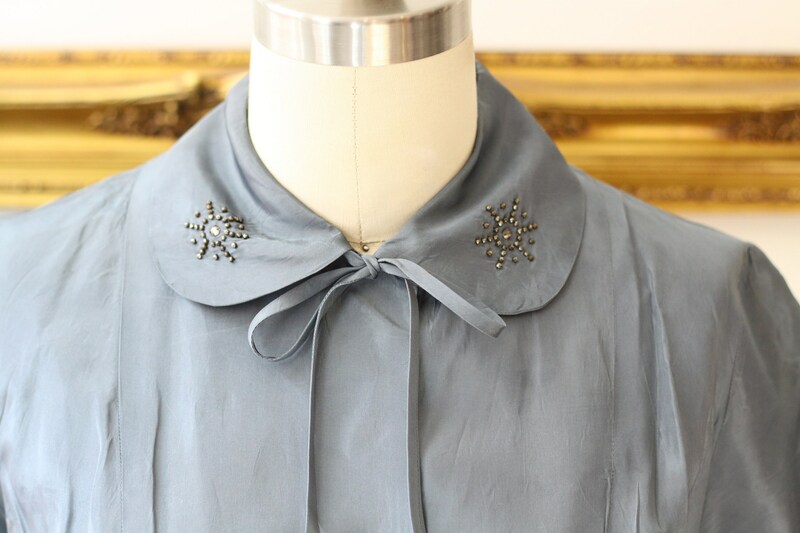 Slate silver studs line the top of the Peterpan collar and a drawstring bow sits underneath. 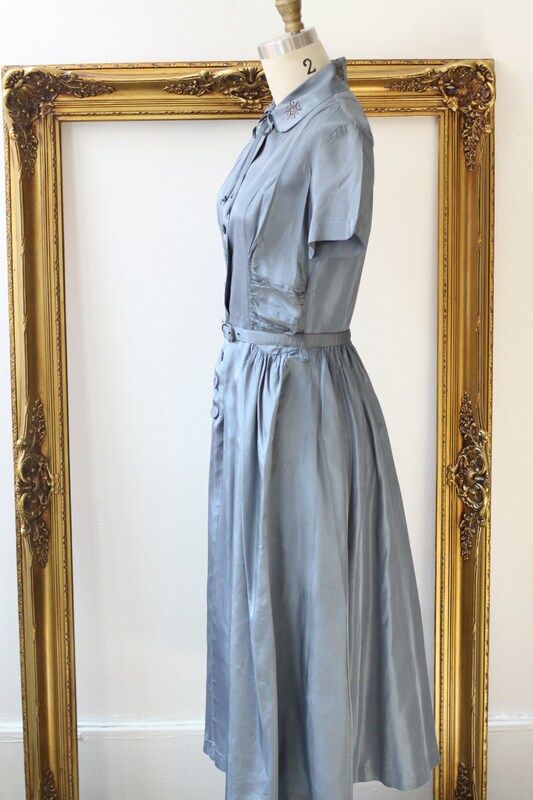 Ruching around the waist and hip areas creates a very lovely silhouette for the wearer. 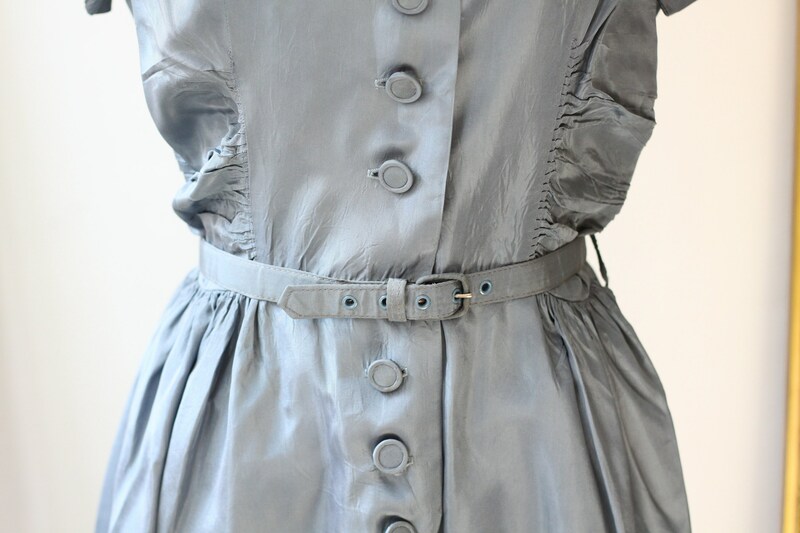 Matching belt gives more closure and definition as well.